Business writers and historians have long been paying attention to the underappreciated contribution that the inventions at Xerox PARC, the iconic research center in Palo Alto, have made to our lives — the graphic user interface that is the reason we can see, open and move folders and pages on our computer screen instead of typing lines of code is just one example. Before Xerox PARC, however, there was Bell Labs, and the inventions of its scientists had an equally transformational impact on our lives. From its launch in the 1920s to its demise in the 1980s, Bell Labs, the research arm of AT&T, was at the forefront of world invention and innovation. Although the telephone was not invented in Bell Labs, just about everything related to the telephone would be developed in its laboratories. 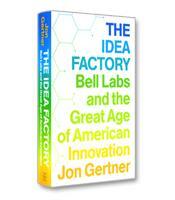 As Jon Gertner explains in his comprehensive history of Bell Labs, The Idea Factory: Bell Labs and the Great Age of American Innovation: "There were no telephone ringers at the very start; callers would get the attention of those they were calling by yelling loudly (often, "ahoy!") into the receiver until someone on the other end noticed. There were no hang-up hooks, no pay phones, no phone booths, no operator headsets... . Dial tones and busy signals had to be invented." Perhaps the greatest triumph of Bell Labs, however, is the transistor, the ubiquitous component of the electronic age. While "transistor" may seem to be an anachronistic term, transistors continue to be present in all of the electronics we touch, embedded in the famous silicon-based microchips that are the lifeblood of the digital age. In The Idea Factory, Gertner describes, in great detail, the long effort to replace the traditional vacuum tubes at the heart of early electronics with a better solution to amplify electronic signals. A New York Times Magazine writer and Fast Company editor, Gertner builds his narrative of the invention of the transistor on both technology and people, notably the three Bell Labs scientists who would be awarded the Nobel Prize for the transistor: Walter Brattain, his lab mate John Bardeen and their boss, William Shockley. Shockley would later start Shockley Semiconductor, the first technology company in an area that would become known as Silicon Valley. In The Idea Factory, Gertner explores the lives and contributions of a small number of key players, including Mervin Kelly, one of the earliest scientists in the labs and its eventual president, and Claude Shannon, the Bell Labs mathematician who, in 1937, wrote what is considered "the most influential master's thesis in history" — a paper that would impact the future design of computers. The Idea Factory, however, is the biography of an institution, and readers meet a great number of people whose work (the radar, the transatlantic phone cable) is more well known than their names. Gertner deftly explains the technology and science, and also offers some surprising insight into the success of the labs, such as the management practices that encouraged creativity and innovation. From its first base in lower Manhattan to its sprawling campus in Murray Hill, N.J., Bell Labs was the home of extraordinary men and women achieving extraordinary breakthroughs. Written by a journalist who grew up just a few hundred yards from the Murray Hill campus, The Idea Factory is a book that is long overdue.